The Sri Lankan government has decided to overturn its ban on the adoption of baby elephants in a bid to overcome difficulties maintaining the Pinnawala Elephant Orphanage as well as overcoming the issue of overcrowding, the International Business Times reported. 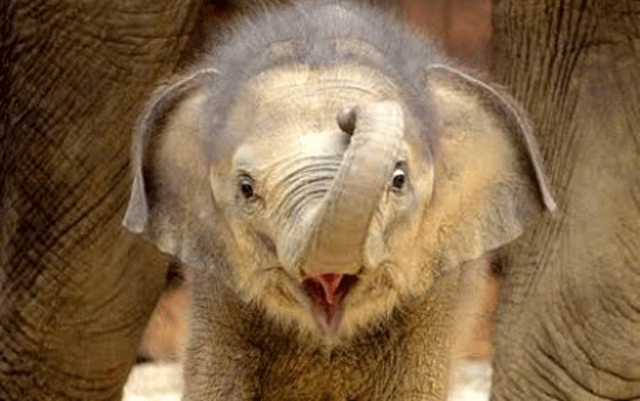 The Cabinet has approved a proposal put forward by Gamini Jayawickrama Perera, Minister of Sustainable Development and Wildlife, which opens the doors for baby elephants to be adopted by individuals and religious places under specific conditions. In his proposal, the minister said that it has become a "difficult task" to maintain the 88 elephants at the orphanage, which spans over 30 acres of restricted land. The orphanage runs a successful breeding program. Elephants are allowed for the Perahera, or religious processions. The cabinet also approved the regularisation of the registration of domesticated elephants and their protection. "Wildlife conservation is good, but we also need to conserve our cultural pageants," government spokesman Rajitha Senaratne told AFP, which said that the ban on the adoption of elephants had raised concerns on whether there will be enough tame elephants for Buddhist pageants. Senaratne also said that strict conditions will be put in place to ensure the protection of the animals adopted. Individuals wishing to adopt an elephant will have to pay 10m rupees (£51,141, €60,334, $65,800) while temples will get them for free. Sri Lanka banned the use of young elephants for logging and other physical work last year as part of stricter laws protecting the animals. Official records show that there are about 7,500 wild elephants in the country. Catching wild elephants is illegal in Sri Lanka. There are about 200 domesticated elephants. In Sri Lanka, having an elephant has become a status symbol for the wealthy, AFP reports. Elephants are also kept by temples for use in religious ceremonies. The animals are revered as holy in Sri Lanka and India. However, there remains opposition to separating elephant calves from their parents. An Asian elephant expert, Jayantha Jayewardene, told AFP that the government's decision is "ill-thought out and totally irresponsible". He accused the government of selling the animals to raise money. In early April, wildlife enthusiasts successfully stopped an elephant calf from being handed over to New Zealand during a visit by its then-Prime Minister, John Key, to the country. Omalpe Sobitha, a Buddhist monk, had said that the six-year old elephant Nandi should not be separated from her parents, who were both being cared for at Pinnawala. He said the move by the government could affect elephant calves that had been sent to Pinnawala after they were seized from wealthy Sri Lankans accused of keeping them illegally. "We are very surprised by the decision to give back these elephants. It is a sad day for conservation," he added. Where on earth did the Buddha say to parade his tooth on the back of an elephant? In this SO-CALLED BUDDHIST COUNTRY animals are being harassed in the name of culture and tradition. The perpetrators of such inhumanity towards animals are the robed ones and codgy old politicians who would not stop at selling even their mothers to raise money. Shameless stink pots to say the least. When the last elephant is gone those two-legged humbugs will have to parade the streets caparisoned like those majestic beasts in the name of their dumb culture and tradition.